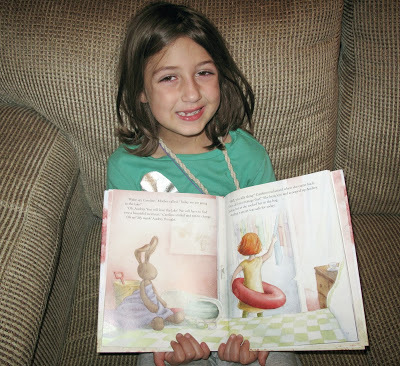 Now that my girl is a full-fledged reader, she doesn’t sit in my lap and let me read her books as often as she used to. While I love seeing her quietly devouring “Heidi” in one day, I enjoyed reading her a book recently. And what a book it was. Cate embraced this sweet children’s book. The pictures by Breezy Brookshire are beautiful. The words tell a story of adoption and acceptance. Audrey Bunny is embarrassed about an imperfect mark, but that same mark is what makes her unique and loved by Caroline. This message is dear to me because Cate and I have had lots of conversations this year about adoption. At 6, she’s so accepting of the way God made us a family. I’m looking forward to having similar conversations with my 3-year-old Ben as he grows up. My hope is they both continue to know God orchestrated their stories. As they grow up, I want them to know they’re chosen and loved, by us their parents, yes, but most importantly by God, who made us and love us beyond what we can comprehend. 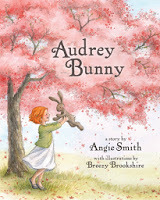 “Audrey Bunny” is sweet, beautiful and full of truth — and ideal combination in a children’s book. 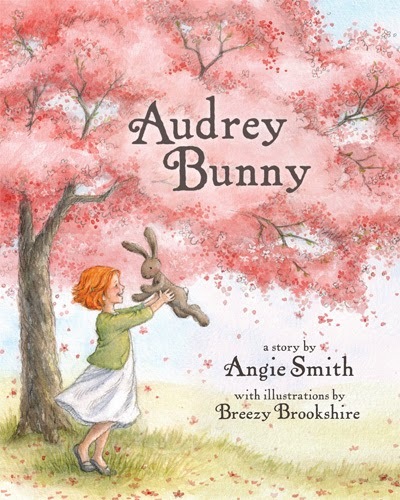 About “Audrey Bunny” :: This children’s book is about a stuffed animal named Audrey Bunny who fears her imperfections make her unworthy of a little girl’s love. She’ll learn the truth soon enough, and young readers will learn that everyone is special and wonderfully made by God. About the author :: Angie Smith is the wife of Todd Smith (lead singer of Dove Award winning group Selah), bestselling author (of “Mended,” “I Will Carry You,” and “What Women Fear”), and one of the most popular speakers and blog writers in the country. She holds a master’s degree in developmental psychology from Vanderbilt University and lives with her husband and daughters in Nashville, TN. So, now, the giveaway. 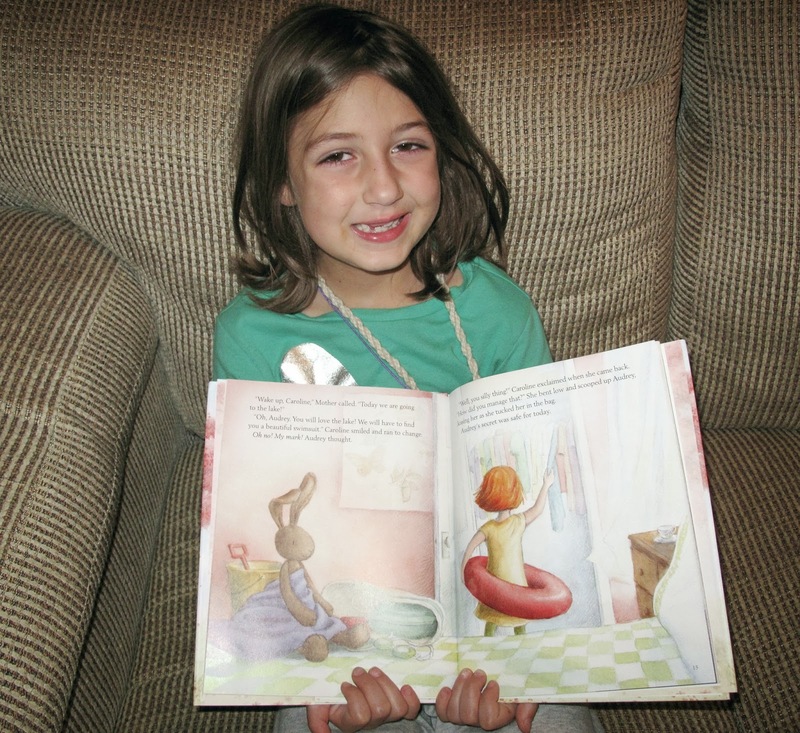 Other than the actual Bible or devotionals, what other books speak truth into your child’s life? Share one book title in the comments as your entry for the giveaway, which is open to U.S. and Canadian residents. I’ll randomly choose a winner on Saturday, Oct. 19. You're right – this book is beautiful! I hope you have a good start to this week too. I ordered Audrey Bunny for my girl for Christmas, and I squealed when it came in the mail last week. It's a beautiful story…one I know she will love. (I kinda want to give it to her early!) And, agreed…the illustrations are just gorgeous. 🙂 I don't need to be entered in the giveaway either, but I know whoever wins will be blessed! Oh, I totally would want to give it to her too! 🙂 After we finished reading it, Cate asked if we were going to keep it. She was glad I said yes! Rosie's Family is an adoption book I read to Penny. It talks about how some families look the same and some don't, but just because they don't look the same doesn't make them less of a family. I don't know that book, but it sounds like it's one I need to check out! Kristin, I love that i found your blog! I love hearing about books & resources & all that you are learning! So thanks so much for being willing to share. It's hard for me just to mention one book or to think of books that are not devotional-type or story bibles. 🙂 We are using the Sonlight curriculum & so we go through many many books. We are reading through parts of Heaven for Kids by Alcorn. My kids love talking about heaven, & it's been a great reminder to live in light of eternity. My kids have also loved "3 in 1: A Picture of God" which is a very simple book that explains the trinity. As I was reading your post, I was thinking about You Are Special by Max Lucado and then I scrolled down to the comments and saw that I wasn't the only one! Actually any of Max Lucado's kids books are wonderful. We also have Because I Love You and it is good. Great recommendations – I'll have to check them out! Thanks for your kind words, Misty!